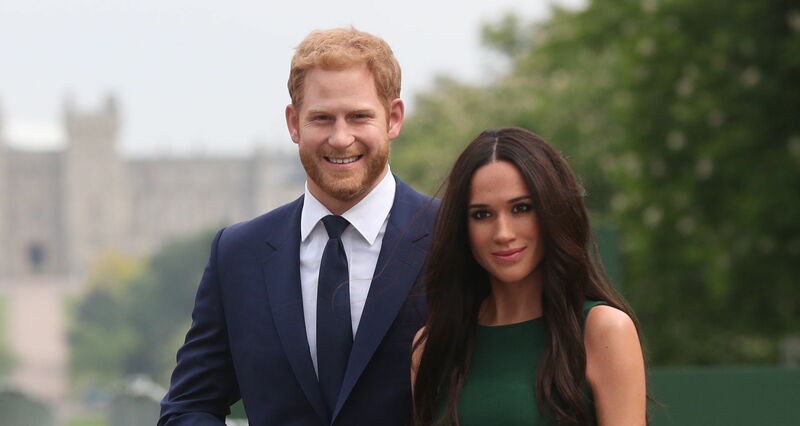 Ever since Meghan Markle confirmed that her father, Thomas Markle Sr., would not be attending the royal wedding, there have been boatloads of speculation about who would step in to walk Meghan down the aisle and present her to Prince Harry. The answer is a little bit complicated and shows that, although Saturday’s wedding will be steeped in tradition, in some ways it will also be modern and unique. This morning, Kensington Palace officially announced that Prince Charles, Harry’s dad, will walk Meghan halfway down the aisle. “Ms. Meghan Markle has asked His Royal Highness The Prince of Wales to accompany her down the aisle of the Quire of St George’s Chapel on her Wedding Day. The Prince of Wales is pleased to be able to welcome Ms. Markle to The Royal Family in this way,” the statement said. But CBS News Royal Contributor Royah Nikkhah also reported that Meghan will make the first part of her walk down the aisle in St. George’s Chapel surrounded by her flower girls and page boys — and with no one on her arm. She’ll only meet Prince Charles at the Quire, about halfway down, and continue her walk with him from there. The nontraditional choice is a show of independence for Meghan. “[It’s] unprecedented, as far as I’m aware, for a royal bride to walk herself halfway up the aisle, but this is the wedding of twists and turns,” Nikkhah said on CBS This Morning. The Telegraph reported that Prince Charles will not officially “give away” Meghan at the ceremony — that part of the ceremony will simply be omitted. The news source added that it was Meghan’s idea for Charles to walk her halfway down the aisle and that she and Charles have a warm bond headed into the wedding. Meghan’s father has been the center of controversy over the last week. After admitting that he had staged lucrative paparazzi photos of himself preparing for the wedding, Thomas was in the spotlight and causing drama for the young couple. Shortly after, he reportedly suffered a heart attack. He announced that he would need heart surgery and could not travel to the wedding. Yesterday, Meghan confirmed in a statement that her father needs to “focus on his health” and will not attend. And while another one of Meghan’s family members was recently admitted to the hospital, everything else about the royal wedding seems to be going smoothly. On Friday afternoon, Meghan, Prince Harry and Meghan’s mother, Doria Ragland, arrived at Windsor Castle so that Ragland could meet the queen for tea. The wedding will take place on Saturday.